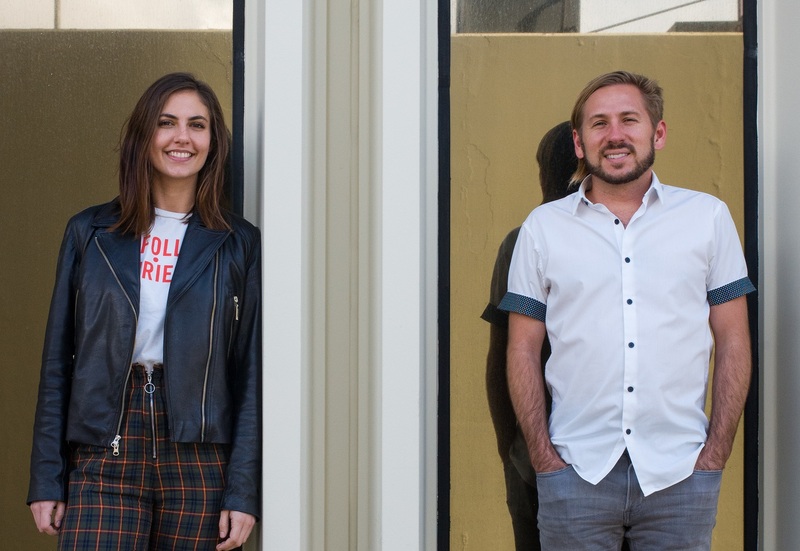 A sweet, catchy drop of radiant sunshine, Matt Koelsch and Georgia Feroce’s uplifting “All My Friends” celebrates love and connection by embracing our time together and making every moment last. Cherish the time you spend with the ones you love. If there is one message to be learned from time’s passing, it’s to make the most of every moment, no matter how fleeting or insignificant it feels. Life throws more responsibilities and more opportunities at us as we grow older, leaving us with less and less time to dedicate to friends, family, and general free/play time. It’s easy to get caught up in the hustle and bustle; sometimes, we can’t avoid that distance. We have no way of knowing how much time we really have with the ones we love, but time is all we’ve got – so make it count, and make it last! 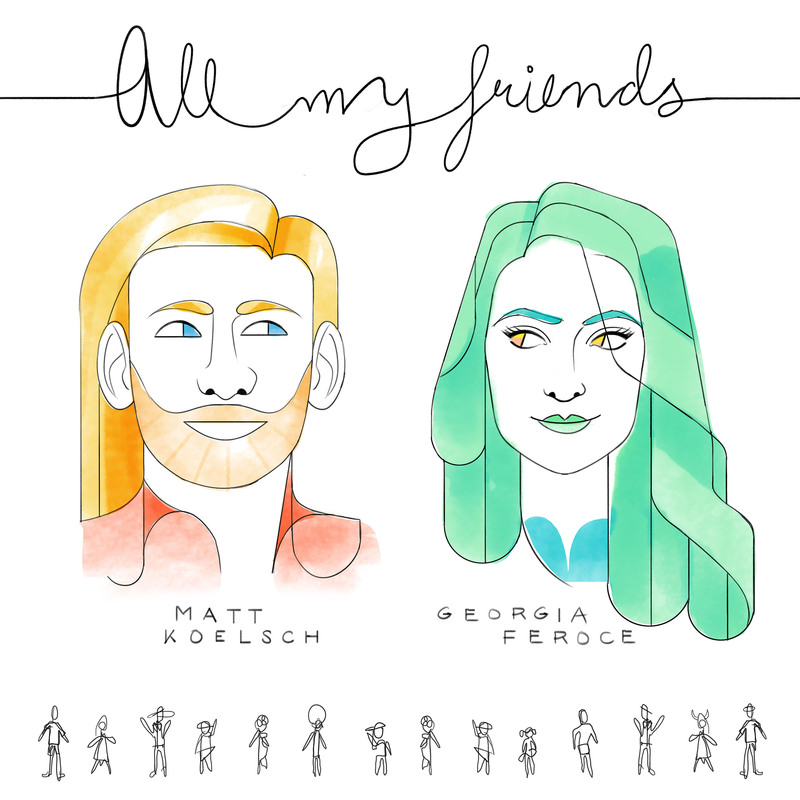 Matt Koelsch and Georgia Feroce embrace the moment and capture the heartwarming spirit of friendship in their new song “All My Friends,” a passionate outpouring of love and affection. “All My Friends” is Koelsch’s first release of 2019, as well as the first piece of new material since the Thinking of You EP came out last July. 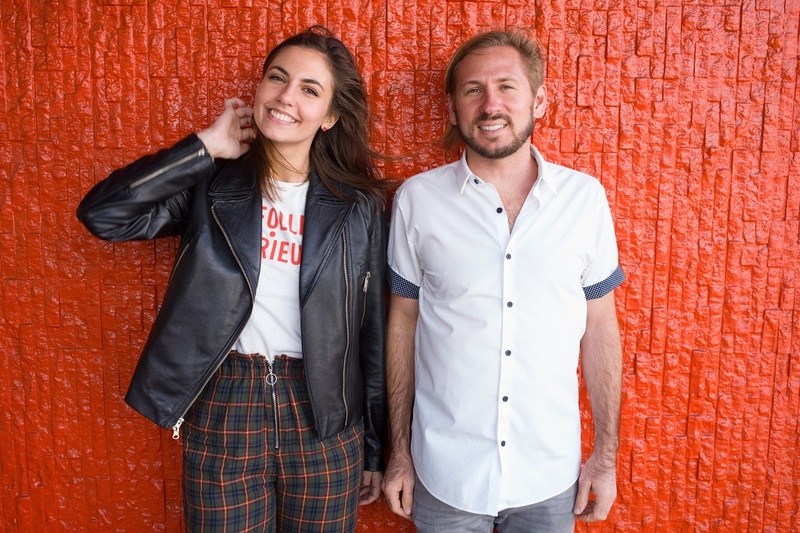 Upbeat and jangly, the song is a sweet drop of pure, radiant sunshine: Koelsch and fellow New England transplant Georgia Feroce (whose debut Cat & Mouse EP released in 2016) share center stage in a passionate, cheerful celebration of togetherness and connection. A bright and joyful memory now in its own right, “All My Friends” is a testament to the people who matter most, and a literal real-life embodiment of its own message: That coming-together of sorts that may never happen again, with some 20+ individuals in one room, all gathered for the same genial purpose. You will always have regrets; you will always have things you wish you said. Still, we can all avoid falling into the same trap of lost time and missed opportunities, if we simply take advantage of the time we do have and exist in each and every moment. It’s a tall order, but a worthy standard by which all of us should live our lives. Catchy, spirited, and utterly smile-inducing, “All My Friends” is the meaningful tribute to being there and making it count that will hopefully wake us up, and inspire us to do the same thing. Join Matt Koelsch, Georgia Feroce, and all their friends in spreading the love and celebrating those who matter most!